A Monster of a Sports Tourer. UK Delivery Available. 2010 10 HONDA VFR 1200 F-A 12160160 F-A A Monster of a Sports Tourer. UK Delivery Available. 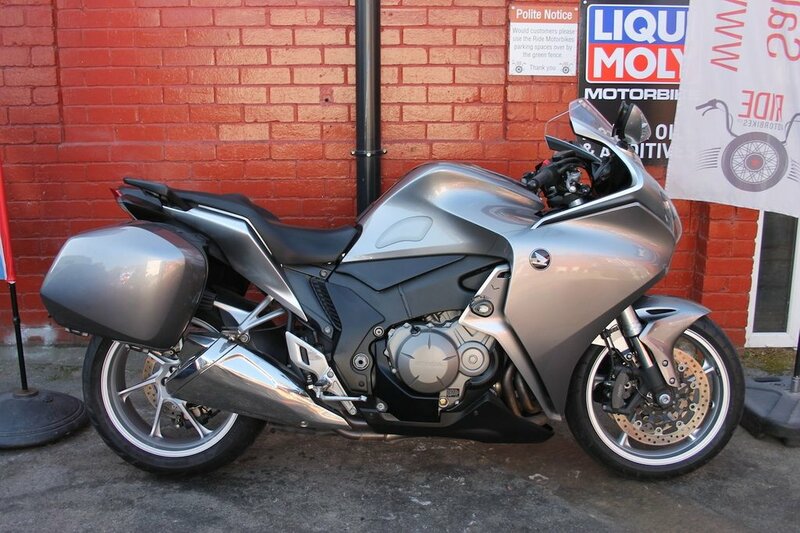 Here we have a really clean example of a Honda VFR 1200. Finance deals tailored to your budget. Credit and Debit cards accepted. This bike will leave us with a full PDI and service, 12mth Mot and a 3mth Warranty. Extended warranties are available at reasonable prices. We have both keys, all its booklets and the V5. This is a really clean example with low mileage. It benefits from R&G crash bugs and Rear Hugger, plus matching panniers. The VFR 1200 gets a 5/5 review from MCN. Rocking 160 BHP and Hondas amazing build quality and reliability this bike will be at home touring, quick blasts out to the butty van or knee down on the track. There is a scratch on the left side of the tank as per the last picture (No. 20) but other than that she is in lovely shape. Ride is a friendly down to earth business with a passion for biking. Finance Available, Nationwide Delivery, HPI Clear, PX Welcome, Friendly Customer Service. 01535 658811. ***Check out our customer reviews on the website, at Ride Motorbikes Ltd Facebook page/Autotrader shop and google*** For more information about us, the bike and our stock please visit our website. The adventure starts here! Open 7 Days A Week Ask us about Locks and Chains, Datatags, Helmets and Heated Grips. Stay warm and secure with Ride.